It seems like a sad way to end things, but a single Tweet has, essentially, confirmed the end of Microsoft’s venture into the mobile space. Let’s be honest: this has been on the cards for a long time. Phones running Windows Phone or Windows 10 have been heavily in the minority for a number of years, and nothing was coming to change that. The reason – and one that Belfiore confirmed – is simple: there weren’t enough apps. Every mobile operating system that’s failed in the past has struggled to get developers on board in sufficient numbers, and with sufficient commitment, to keep the momentum going. Palm’s webOS, variants of Linux (Android not included there), BlackBerry 10… all of these offered technical capabilities that arguably outstripped what was available on the market, but if users couldn’t access their documents or play their favorite game then it was going to be a tough sell to ask them move across. "We get that a lot of people who have a Windows 10 device may also have an iPhone or Android phone and we want to give them the most seamless experience possible no matter what device they’re carrying. "In the Fall Creators Update, we’re focused on the mobility of experiences and bringing the benefits of Windows to life across devices to enable our customers to create, play and get more done. "We will continue to support Lumia phones such as the Lumia 650, Lumia 950, and Lumia 950 XL as well as devices from our OEM partners". The statement utterly avoids the question and instead focuses on its services, and from that it’s hard to imagine we’ll ever get a new, feature-rich Windows handset that shows off the best of the platform. It’s an expensive endeavour to create a new phone, and without at least a modicum of confidence that such a handset would either make a profit or further the presence of the OS, it’s hard to imagine a business pushing forward. Microsoft used be to the leader in the smartphone game – at least when it came to the software that adorned devices. Windows Mobile used to be the epitome of ‘powerful but hard to use’, the way most people thought of smartphones, something entirely for business and not the average user. There’s a reason Steve Jobs asked the question: "Who wants a stylus?" when launching the first iPhone – the stylus was the embodiment of how you interacted with the Windows Mobile devices, and it wasn’t intuitive enough. HTC used to be the leader in Windows Mobile development – it was the first to bring the platform to a device with a capacitive screen, and that was rumored to have been despite Microsoft saying it wasn’t possible to do such a thing. However, in 2010 HTC was so capable of making excellent smartphones that it was the lead manufacturer for the big reboot: Windows Phone (or, more specifically, Windows Phone 7). This was Microsoft’s big reboot, an acknowledgment that maybe the iPhone and improving Android phones were going to be the future. It even got Apple’s most famous fan, Stephen Fry, onto the stage to extol the virtues of this new consumer-friendly OS, and proclaim it to be a really exciting new platform. Networks got on board instantly, putting their weight behind a new horse in the mobile OS wars. I remember watching a member of UK network O2’s team being angrily confronted by a Microsoft exec after it was uncovered they’d set up a separate launch event alongside Microsoft’s to nab some coverage for its exclusive handset – that’s how important Windows Phone 7 was seen as. TechRadar was taken to Microsoft HQ in Redmond, Washington to see behind the scenes of this new OS, and the level of dedication to making sure Windows Phone 7 worked was incredible. One exec told us that Windows Phone 7 was "the most tested OS the company had ever put out". But it didn’t work. 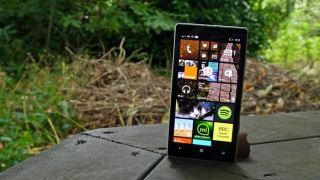 Windows Phone handsets reportedly didn’t exceed sales of the Windows Mobile devices left on the market, despite the HTC-made range of handsets reviewing well. These phones were powerful, well-made and different, and the capabilities they offered app developers were strong – something different to the Android and iOS options. But it wasn’t working. Then Nokia rode into town, an ex-Microsoft exec at the helm, and promised to use Windows Phone as the primary platform for its future handsets. Symbian (the OS Nokia had developed) wasn’t working, and Android wouldn’t allow it to differentiate well enough; this looked like the perfect marriage. Nokia handsets running Windows Phone 7 began to appear. These also reviewed well, and married with the iconic branding saw a flurry of positive coverage – one analyst believed the power of the platform and the Nokia name would see Windows Phone overtake the iPhone by 2015. Microsoft bought Nokia in a bid to become a more end-to-end smartphone manufacturer, controlling the experience as Apple had, and allow it to show its partners what could be achieved. But the aforementioned issue reared its head: the apps just weren’t coming through. Time and again, press conference after press conference, Microsoft and Nokia kept talking about how many apps in the top 50 of Apple's App Store were available on Windows Phone. Yes, they appeared, but support was patchy. The thing is, sales figures for Windows Phone devices weren’t bad. Taken in a vacuum, Windows Phone being on one of the most popular devices in the world should have been a good thing. Windows Phone being on one of the most popular devices in the world should have been a good thing. But the device leading the charge was the Nokia Lumia 520, a budget phone launched in 2013. This low-cost device was priced very well for the specs it offered, and brought a similar experience to a phone four times the price. And that was the issue. Developers were now coding for a platform where the most popular phone was low on power and budget-friendly… and users of that phone were less willing to invest in buying apps, cheap as they were. Indeed, this phone was still the most popular Windows Phone three years later, as more expensive handsets came and went without making a noticeable dent on the top smartphone charts. When Windows 10 rolled around, with Windows 10 Mobile embedded within, it was seen as another roll of the dice. Apps from the ‘big’ desktop version of the operating system would come to the smaller handsets, which could in turn be placed in a dock that would connect to a keyboard. The new Lumia 950 and Lumia 950 XL led the charge, but they failed to set the world alight. The HP Elite X3 appeared – and was a much more impressive handset – but HP has recently admitted that it’s not going to create a sequel, thanks to the direction in which Microsoft’s appeared headed. All signs pointed to Microsoft admitting defeat and pulling out of the mobile space, including its efforts to force its software onto the popular phones of the moment – Samsung Galaxy S8 models come preloaded with Office, and its statement to us focused heavily on this activity – and the signing of deals with Apple to create dedicated software for its iPad Pro platform. And Belfiore’s tweets seem to tie the story off – finally, we have a tacit admission that Microsoft understands it can’t have the impact in the mobile space it wants (which must be especially galling when Google’s similar efforts with its Pixel phones seem to be yielding decent results). But is this absolutely the end for Microsoft in the mobile space? No. It’s just confirmation that the idea of having a separate strand for smartphones isn’t working in the consumer space. The enterprise world still offers millions of potential users, and that’s worth targeting. The next step for the brand apparently builds on what it tried with Windows 10: a platform that flows between different styles and sizes of hardware without an issue, as the chipsets inside grow powerful enough to handle the necessary tasks to stuff a desktop into a smartphone. So, for the person on the street, Windows Phone is gone and is unlikely to reappear as an iPhone or Android competitor. The popular app manufacturers aren’t going to want to dedicate resource to supporting another platform. But the enterprise world still wants a device that’s secure, powerful and functional, and which moves seamlessly from desktop to mobile without issues – both Samsung and Apple are working hard at offering this, showing it’s something all the big brands realize is an opportunity. Android and iOS are not desktop platforms though, and that's where Microsoft will be looking to capitalize. So unfortunately for Microsoft, the sign below, hanging in Redmond, wasn’t followed to help it fight the onslaught of iOS and Android – but Microsoft isn’t completely out of the mobile game yet.